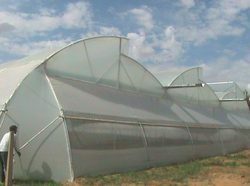 We are a leading Manufacturer of green house film, poly house film, green house uv protection film, green house plastic film, agriculture green house film and agro polyhouse film from Indore, India. We are a trustyworthy organization offering a wide a gamut of Green House Film. We are a trustyworthy organization offering a wide a gamut of Poly House Film. We are a trustyworthy organization offering a wide a gamut of Green House UV Protection Film. 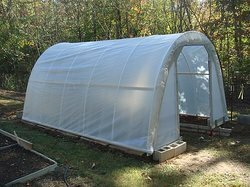 We are a trustyworthy organization offering a wide a gamut of Green House Plastic Film. We are a trustyworthy organization offering a wide a gamut of Agriculture Green House Film. We are a trustyworthy organization offering a wide a gamut of Agro Polyhouse Film. We are a trustyworthy organization offering a wide a gamut of Agro House Poly Film. We are a trustyworthy organization offering a wide a gamut of Poly Greenhouse Film. We are a trustyworthy organization offering a wide a gamut of Green Polyhouse Film. Backed by the rich experience and a competent team of professionals, we are able to offer Low Tunnel Film. 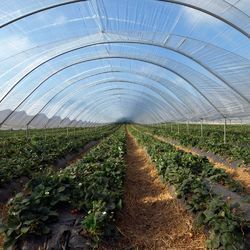 The offered range of low tunnel films is suitably inspected in varied characteristics to ensure its adherence with the highest quality norms and standards. Along with this, the offered range of low tunnel films is available in different designs, shapes and sizes in accordance with the diverse requirements of esteemed clients. We are an eminent name, which is engaged in delivering Greenhouse Film at client's premises. The offered range of greenhouse films is manufactured utilizing high grade raw material and innovative technology in complete adherence with the international quality norms. 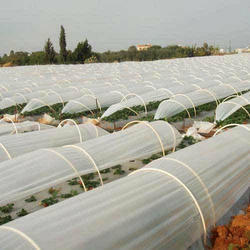 Along with this, the offered range of greenhouse films aids in protecting climate variations. We are a trustyworthy organization offering a wide a gamut of HDPE Agro Shadenet.